For the sixth time, the New York State Public Service Commission has granted another extension to Charter Communications, allowing the company to continue doing business in the state, despite a July 2018 order revoking its merger agreement with Time Warner Cable. As a result, the newest deadlines for Charter to appeal the Commission’s decision to cancel Charter’s merger with Time Warner Cable is Feb. 4 and to file a Six-Month Exit Plan for Spectrum, informing the Commission how Charter plans to transition service to a new provider, is March 4. The Commission claims that private, ongoing discussions between Charter and the Commission’s staff are “productive” and the company has ceased airing what the Commission claimed to be misleading advertising about the state of its expansion effort in New York State. The state telecommunications regulator has been involved in a two-year long dispute with Charter over expanding rural broadband options for New York residents. The original merger approval order required Charter to build out its service to areas the company had not serviced before. Charter’s rural broadband expansion was important for Gov. Andrew Cuomo’s 2015 Broadband for All program, which was supposed to expand broadband access to 2.42 million unserved or underserved rural households, making broadband available to 99.5% of the state by 2018. Governor Cuomo’s plan remains unfinished, in part, because of the ongoing dispute with Charter. 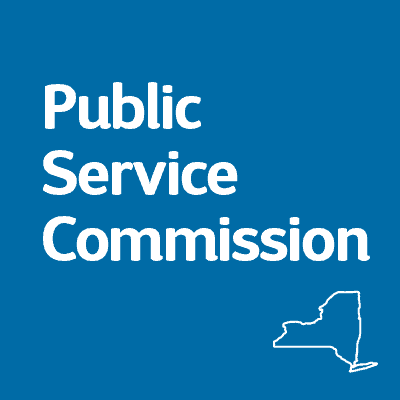 The New York State Public Service Commission should drop “Public” from their title as they are certainly not serving us. You can see all the communications from Charter at http://www.dps.ny.gov/ but of course much is redacted or confidential. What you can see is the audacity of Charter to continue to claim expansions in New York City (as recently as 1/14/19) as part of their expansion to the unserved. They also continue to claim expansions in other urban areas while those of us in the truly unserved rural areas get nothing. Of course the Governor claims the broadband expansion to be a complete success by introducing satellite internet provider HughesNet as an alternative. Well I already have HughesNet and I currently have 1Mbps download speed. That’s right, 1Mbps because I went over the allotted 10GB daytime data cap. When the Broadband for All program started, 100Mbps with no cap was promised as being the least acceptable speed. I guess us rural folk are considered second class citizens. Yup. For sure. I will be dead by the time HS internet reaches me in Decatur ny.